Atiku Abubakar, former vice president and presidential candidate of the Peoples Democratic Party (PDP), has said President Muhammadu Buhari and the All Progressives Congress (APC) would not honour their pledge to make the South-East produce the president in 2023 if they support Buhari in next year’s presidential election. He said it was clear that the APC was deceiving the Igbos because while the presidency, through the Secretary to the Government of the Federation (SGF), Boss Mustapha, was saying the presidency would be zoned to the South-East in 2023, Babatunde Fashola, Minister of Power, Works and Housing, said it was the turn of the South-West in 2023. Atiku, who spoke through Segun Sowunmi, the spokesman of his campaign, said Buhari and his party had demonstrated over the years that they don’t keep their promises, which was evident in the myriad of promises they made to Nigerians during the 2015 campaign but were yet to fulfil them three and half years later. He said rather than making empty promises like the APC, he had demonstrated that he meant well for the Igbos by picking one of their sons, Peter Obi, former governor of Anambra State, as his running mate. “A man that cannot be trusted on simple things, is it that man that will be relied upon to fulfil a promise he made now in 2023? “In one breath, the presidency is deceiving them that it will go there in 2023 if they support Buhari now; in another breath, the Minister of Power, Works and Housing, Babatunde Fashola, is telling them that it will go to the South-West in 2023. Nigerians are wiser than that. “The Igbos are more intelligent than they think. What the people of the South-East needs is equal access to the play. “Atiku has given them that equal access by giving them the vice president slot in the person of Peter Obi. Atiku said rather than agitating on which zone would produce the presidency in 2023, Nigerians should focus on restructuring the country so that each geopolitical zone could develop at their pace. He also promised to grant autonomy to local governments so that they could have enough funds to cater for developments at the grassroots. “What is important is that we restructure Nigeria so that people will not be killing themselves because of the presidency, but they will go and deliver value where people need it most which is the local government and the state. 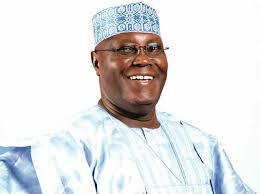 “Nigeria under Atiku is going to grant autonomy to local governments. “They will get their funding directly and they will be able to do more for themselves. “States will be encouraged to generate more monies for themselves and they will be given more powers to do a whole lot more, especially in growing the economy and their IGR. “We have gone past the rhetoric of we are going to give presidency to a region in 2023 or not. “The same Buhari who said he is going to do one term, why can’t he say he is not seeking re-election but will give the ticket to an Igbo man if he is that sincere? “Somebody who reneges on his statement that he will only do one term, is that the one who will now promise the Igbos presidency and they will believe him? However, speaking to Daily Independent, Lanre Issa-Onilu, the National Publicity Secretary of the APC, said the people of the South- East would give their votes to President Buhari in 2019 because of the various projects the president had undertaken in the region despite getting fewer votes from there. He made reference to the recent visit of South-East governors to the president where they showed appreciation to him and begged him to do more for the region. Issa-Onilu said: “The South-East governors recently visited the president. They said they want to thank him for what he has done in the region and they are asking for more. “We have a president that is not discriminatory when it comes to delivery of the gains of democracy to Nigerians. “The South-East people can see roads, housing scheme, and other infrastructure. Go to the capital of all the South-East states, you will see the massive projects that are going on there. “So, the governors of the region came to thank the president. You also could see that because of his deep feelings for the ordinary Nigerians, the president came out with bail-out funds. “Bail-out funds have criteria with which it can be assessed. Being an APC governor is not one of the criteria. “Number of votes you gave to President Buhari in 2015 is not one of the criteria. The criteria are only that you are part of Nigeria and the common people in your street deserve attention. “Many South-East traders today are benefitting from the Tradermoni scheme. This money was realised from Abacha’s loot. This is not the first time Abacha’s loot will be recovered. “The ones that were recovered in the past under PDP governments were used to buy private jets, but under this government, the money is going into the pockets of the ordinary man. “So, the difference between the PDP and this government is that President Buhari is focusing on the ordinary Nigerian and doing things that will greatly impact on their lives. “But PDP government, during their era, focused on the few elite and they were measuring success and economic developments by the numbers of private jets they purchased. “Now, under the APC government, we are measuring success and economic developments by the number of common people the Social Investment Programme is touching. “We are measuring it by the number of school pupils who are being fed daily in our schools.